I was born and raised in Bristol, TN. I knew at an early age that I wanted to be a pharmacist after spending time with my great uncle in Roanoke, who owned and operated two independent pharmacies. I pursued my dream of becoming a pharmacist by completing my undergraduate work at Emory and Henry College and then going on to Virginia Commonwealth University School of Pharmacy in Richmond, VA where I earned my Doctor of Pharmacy degree. After spending four years in Richmond I knew I had to come back to the community I knew and loved to start a career. I began working for Walgreens in Kingsport, but after 4 years I knew something was missing. I was not able to grow and develop the personal relationships that I desired with my patients. I knew in order to be able to develop the relationships and serve my community the way I wanted I would have to do it in the independent setting. I took over H Johnson Pharmacy in the fall of 2013 and love being able to provide personal service to all of my patients. H Johnson Pharmacy has been providing Bristol the BEST in pharmacy care for over 30 years! 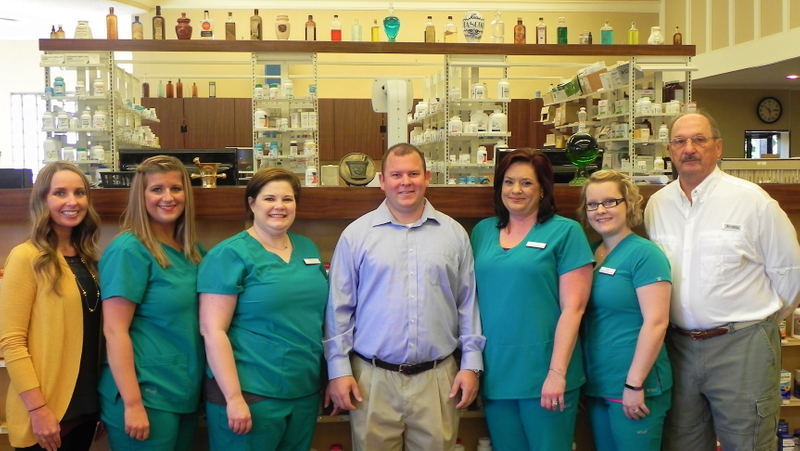 The staff is committed to providing every customer with the very best in pharmacy services. We pride ourselves in offering friendly, personal service to each and every one of our customers. When you come into the pharmacy, you can expect to be warmly welcomed by our pharmacy staff of caring professionals who are always readily available with answers and information regarding your medication questions. Let our family help yours live healthy. Amanda has been working part time with us since 2013. She also works a full time position at Wellmont Hospital in Kingsport when she is not at our pharmacy. Jean has been working with us since 2013. She retired from her previous full-time position as a pharmacist, but still enjoys practicing pharmacy part time. Phil is retired from Smith Kline Beechum and began working part time for H Johnson Pharmacy in 2001. Christy has been serving our customers since May of 1999. Crystal has been serving our customers since February of 2009. Cindy has been serving our customers since November of 2012. Megan has been serving our customers since December of 2013. Becky has been serving our customers since November 2014. April has been serving our customers since December 2014.